Traffic is the lifeblood of every online business. More importantly, every online business needs targeted traffic that converts into leads or sales. In this post, we explore a WordPress plugin that will automate your social media marketing campaigns to help drive more targeted traffic to your business. SociTrafficJet is a WordPress plugin that lets you automate social marketing campaigns. Used sensibly, this plugin can help drive more traffic from Facebook, Twitter, and Instagram to your blog, e-commerce site, or affiliate offers. The dashboard lets you set up, run, and manage all of your social media campaigns. SociTrafficJet is easy to use and requires no technical skills. User training is provided with video tutorials covering everything from setting up to using the tool, including video walkthroughs of each dashboard tab. For more testimonials, visit the SociTrafficJet website. In addition to the regular plugin edition, which lets you set up social media marketing campaigns to post to Facebook, Twitter and Instagram, SociTrafficJet offers the option to upgrade to the Elite and Enterprise editions for additional automation and leverage. The Elite upgrade provides complete social marketing automation to Facebook, Twitter, and Instagram and lets you set up multiple campaigns at once. This is part 4 of a 5-part series on how to create an automated traffic generation system for your WordPress site. This tutorial shows you how to set up a number of plugins that will help drive traffic automatically to your WordPress site. Welcome to Part 4 of our Web Site Traffic Blueprint article series, where we explain how to create an automated web traffic machine using the WordPress CMS. In Part Two, we look at the setup phase. We explain the best way to start if you don’t have a website yet, how to set everything up if you already have a website, and what to do if your website has been built using WordPress. In Part Three, we discussed the configuration phase of the automation blueprint. In Part 4, we discuss ways to automate your traffic using WordPress plugins. Why Automate Your Traffic Generation Process? Depending on which online marketing gurus you get your advice from, you could end up trying to spend an hour or two per day (or more) promoting your business on social media. Most small businesses simply lack the time, human resources and budget to run a full-time marketing department and engage in the kind of content marketing that many marketing experts are advising. If you spend most of your time posting updates on LinkedIn, Facebook, or Twitter in addition to planning and writing articles for your blog or website, how does anything else in your business get done? Many business owners spend most of their working hours trying to keep their businesses up and running. On top of this, there’s sales and marketing. After all, businesses need to stay competitive and make sales in order to survive. 43% of all small businesses surveyed spent 6 or more hours per week on social media (the other half spent even more time – between 6 and 21+ hours per week). This usage of social media was a 66% increase from the previous year, so if the same survey was done today, the numbers would probably be even higher. More than half of all businesses surveyed spent 1-3 hours or more creating a blog post. Finding and posting content for social media was the activity that consumed the most time online for all businesses surveyed. Another thing to keep in mind is that, in addition to spending time social media sites, all of your efforts are going into virtual real estate that you have no control over. You don’t own Twitter, Facebook, or YouTube. These sites can make decisions that can significantly impact your business without prior warning. Why invest so much effort and time building content on rented real estate? With WordPress (self-hosted), you can control your own virtual real estate and publish your content automatically to other sites. Which channels do you invest more time, budget, and your efforts on? Should you invest so much time and effort building a web presence on other people’s sites (e.g. YouTube, Twitter, Tumblr, etc.) while ignoring your own domain? Do you create new content for every channel you plan to include in your marketing strategy? What I’d like to share with you now, is a free, simple, and effective strategy that allows you to automate the traffic-getting process with WordPress. Invest most of your time and efforts building your own asset instead of someone else’s and still benefit from other people’s marketing channels. Many automated traffic solutions tend to focus on black hat methods, such as manipulating search engine results. This is not what the focus of this article series is about. In fact, we strongly urge you to avoid using black hat sites, tools, methods, and anything that violates the policies and terms of service of services like Google, Facebook, LinkedIn, etc.. The focus of this series of articles is not to manipulate online services or break their terms of service, but to show you how to automate your content distribution in order to leverage your time and efforts, and get additional exposure online from sites visited by your target audience. As we’ve just seen in the previous section, most small businesses lack the time, human resources and financial means to engage in the kind of content marketing that most experts prescribe. What you want to do, then, is be strategic with your limited time, resources, and budget. With an expertly configured WordPress site, you can build more than just a website for your business … you can set up an automated traffic and lead generation and sales & marketing system, where all you do is publish your content and WordPress then automates the rest. With WordPress, you can publish content one-time, and automate the distribution of your content to all other services. How do you get all this done? 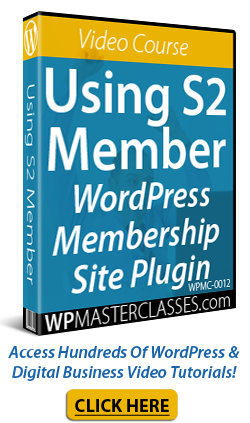 Simple … first, set up your website or blog as shown in Part Two. Then, configure everything as explained in Part 3. Once all of this is in place, you can then automate the content distribution with plugins like the ones listed in the next section. You can get your posts automatically distributed to sites like Twitter, Facebook, Tumblr, LinkedIn, Google+ and more as soon as you publish your content using a plugin like JetPack. Jetpack is a free WordPress plugin with loads of useful features. After all of the account and plugin settings have been configured, your content is ready for distribution. Jetpack provides you with an automated and hands-free way to get more exposure for your content online on social sites. The native WordPress commenting feature allows your visitors to engage with your web site, post new comments, reply to existing comments and participate in discussions as part of a community. You can expand the WordPress built-in commenting feature with a 3rd-party plugin like Disqus, IntenseDebate, LiveFyre, or CommentLuv that integrates with social media, helping to spread and share them around. For example, a plugin like CommentLuv (Pro version) can encourage a greater level of commenting and improve user engagement on your site. The plugin encourages readers to comment using SEO and social rewards like ability to use keywords in the user name, the ability to add twitter usernames to comments, backlinks, and social enticements for content sharing. This plugin will visit the comment author’s site while they enter their comment and retrieve their last blog posts, which they can choose to include below their comment after clicking submit. Social Bookmarking Sites: e.g. Delicious, Folkd, Instapaper, Stumbleupon, etc. Web 2.0 Blogging Platforms: e.g. Blog.com, Sett, WordPress.com, etc. Social Media Platforms: Facebook, YouTube, etc. Image Sharing: e.g. Pinterest, etc. Document Sharing: e.g. Issuu, Gett, etc. The above are just some examples of the many content distribution plugins that WordPress makes available. Once your site and plugins have been expertly configured and fully set up, all you have to do is add new content regularly to automatically bring web traffic organically. Once you have configured your WordPress site, the next step is to optimize the process. This step is explained in the next article in our series. This is part 5 of a 5-part series on how to create an automated traffic generation system for your WordPress site. This tutorial explains how to optimize your WordPress traffic system once your WordPress site has been expertly configured and setup. Welcome to Part 5 of our Web Traffic Blueprint article series, where we explain how to drive new traffic automatically to your site using WordPress. In Part 2, we discuss critical setup decisions. We explain the best way to get started if you don’t have a website yet, how to set things up if you already have a site, and what to do if your existing site has been built with WordPress. In Part Four, we discussed ways to automate the traffic system with different plugins. In Part 5 of the WordPress web traffic automation blueprint article series, we look at ways to optimize traffic generation using different tools and strategies. In addition to having an expertly configured WordPress site, generating consistent traffic of high quality is the result of a well-defined business vision, careful digital planning, and excellent systems and process in place. Let’s review the systems that will help you grow and manage this traffic. Marketing Systems – The processes and methods used to drive traffic to your website. Technical Systems – How you keep your online presence up and running for receiving new traffic. Business Systems – The systems used to manage and respond to new traffic. What channels will you use to generate new traffic (e.g. blogging, video marketing, etc)? What resources and portion of your budget will you apply to your marketing channels? How will you create your content, sales funnels, and run your marketing campaigns? How will you test and measure the results of your online marketing campaigns? During the setup and configuration phase, you would have installed an analytics program (e.g. Google Analytics). If you’re just starting out, you may want to consider investing in some paid advertising (e.g. pay-per-click ads) to help generate some initial data, such as the keywords people are searching online to find your site, which you can use to create content targeted specifically to your audience. Your technical systems keep your online presence up and running for receiving new traffic. There’s no point driving traffic to your site if your site is experiencing problems or your pages take a long time to load. Your technical systems include handling areas like webhosting, site maintenance and support, installing and updating new applications (e.g. plugins), integration, customization, troubleshooting, etc. Who looks after my server? Who looks after my website and keeps my site maintained and up-to-date? Who will fix errors, troubleshoot problems, provide technical support and advice, etc. if any issues arise? Many potential issues can be minimized if your website planning process and setup and configuration phases have been completed correctly. As with all technology, however, there will always be new problems. You will need the right technical systems in place to handle these. If you intend to outsource key aspects of your digital marketing and technical maintenance, then make sure you also implement good systems to manage all outsourcing. If your business objectives are clear and your systems and processes are in place, all you need to do is to focus on implementing, optimizing and further automating a “traffic loop”. Step 1 of the process is to increase visibility for your website or blog. An expertly configured WordPress site allows you to automatically publish your content on places like Facebook, Twitter, GooglePlus, etc. The easiest way to increase your reach and visibility online, therefore, is to simply publish more content through your expertly configured WordPress site. As mentioned earlier, investing in some paid advertising can help generate data, which you can use to create web content better targeted to your audience’s needs. Repurpose your content to leverage the power and reach of different media formats. Continue learning about ways to get visitors using methods like Facebook ads, YouTube, forum signatures, etc. See earlier sections of this tutorial series for a number of useful plugins, tools, and methods we’ve already covered to help you reach more potential users. Display user generated content, feeds, etc. Getting more of your content out there is a great first step, but for this activity to be really effective, your content needs to be building authority and credibility with your audience. Publishing better quality content improves your chances of getting it shared on other sites and viewed by more people and hence more visitors. Focus on content that adds value to your audience and that showcases your expertise. This includes content that educates and informs readers, training content, case studies, adding testimonials, etc. Consider publishing educational guides that you can sell or distribute online (e.g. sell on Amazon. As your business grows, you may want to consider developing “traffic on demand.” You can do this by growing a list or starting an online community or even your own social site. With “Traffic On Tap,” your traffic will come from customers or subscribers – people who already like you and trust you. Your influence and credibility can be used to generate new traffic with every blog post you publish or email broadcast you send out. Encourage visitors to leave comments and start discussions on your site. Add an email training course and encourage people to subscribe. Add a paid or free membership site. Create or join a Facebook/LinkedIn Group. Add media, image galleries, etc. If you take advantage of incoming traffic to find out what problems your users are trying to solve, you should have no problem developing new services, products, and solutions, all of which provide new opportunities to generate new streams of web traffic. Consider creating a free or paid e-learning course. Consider publishing PDF guides or special reports that can be sold or distributed online. Consider adding an e-commerce store to your site. The final step of the process is the collection and analysis of data. By learning to interpret data gathered from existing traffic, you can discover new opportunities to create content that can generate you additional traffic. You should already have installed an analytics program like Google Analytics on your website. Make sure you understand the metrics and features and can interpret the data. Once you implement the above strategies, all you have to do is repeat the same process, fine-tuning and refining your methods as you go to grow your traffic and improve your results. Analyse your data and your results, automate your processes wherever possible, and begin the cycle again. Hopefully, this article has given you a blueprint that will help you drive more visitors automatically to your web site and build a better business online.